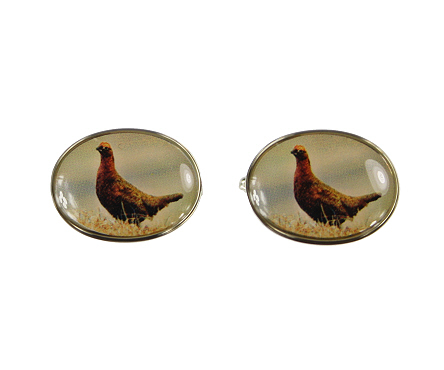 A pair of oval enamelled Grouse Cufflinks with silver coloured fitments. Great novelty cufflinks for country lovers. A pair of oval enamelled pheasant cufflinks with silver coloured fitments. Great novelty cufflinks for country lovers. Boxed. Partridge Motif Tie. Partrdges stitched motif on plain background. Available in three colours.